Today’s Update looks at the latest developments in southern Syria, as the Assad regime, with the vital assistance of Russia and Iran, moves to retake the area around Daraa and Quneitra, near Israel’s border. The ongoing Iranian presence in Syria is a major security challenge for Israel, and there is ongoing tension between the two countries. Syria accused Israel of attacking the T4 airbase in Syria where Iranian forces are stationed, on July 8. 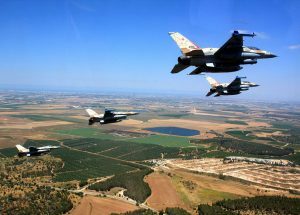 Perhaps in retaliation, on July 11, an unarmed Syrian drone entered Israeli airspace, only to be shot down by Israel, using a Patriot missile, and drawing further Israeli attacks on Syrian army bases. 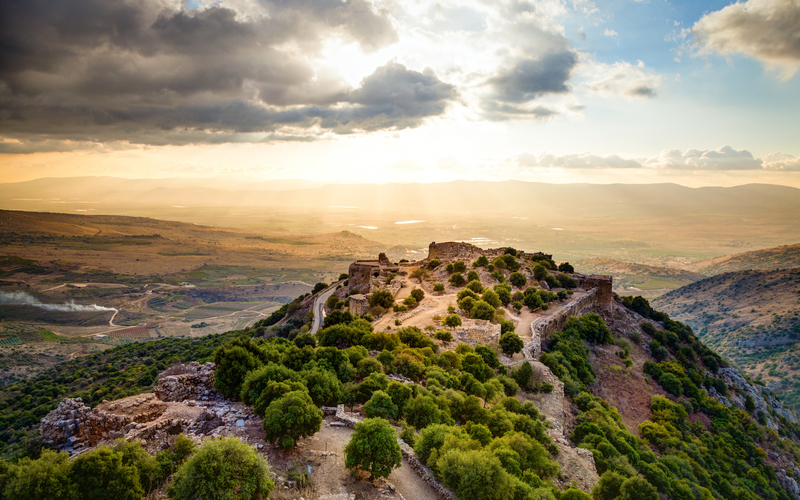 The first piece is an analysis by Yaakov Lappin of the BESA Centre of Iran’s changing approach to establishing itself militarily in Syria, and Israel’s changing tactics to counter the Iranian threat. He explains that, after Iran’s direct attacks were so resoundingly defeated by Israel earlier this year, it has reverted to its traditional method of using proxies. Israel, as he sets out, is adapting to these changed circumstances, including the complications caused by Russia’s presence. To read this intricate description of the ever-evolving game of cat-and-mouse, CLICK HERE. Speaking of Russia, Israeli PM Binyamin Netanyahu flew to Russia on July 11 to once again meet with Russian President Vladimir Putin. The Britain Israel Communications and Research Centre (BICOM) gives a briefing of the meeting between the two leaders, with Netanyahu emphasising that Iran must leave Syria. Herb Keinon of the Jerusalem Post considers why it is that the two leaders meet with each other so often. While it is obviously in part to try to ensure their countries don’t have an accidental military confrontation in Syria, Keinon suggests they also find it useful for the messages their meetings send to other countries, not least Iran. To read Keinon’s analysis of the story behind these meetings, CLICK HERE. Finally, former Israeli Chief of the General Staff and Defence Minister Lt. Gen. (Res) Moshe (Bogie) Ya’alon and Yair Lapid, chairman of the Yesh Atid party in Israel’s parliament, argue that it is time the international community recognised Israeli sovereignty over the Golan Heights territory it captured from Syria in 1967. They ask, “Would you take an area that is flourishing in a western democratic state, where fifty thousand people of different religions and ethnicities live in harmony, and hand it over to a violent dictatorship ruled by the worst mass murderer of our time so that he can destroy the area and murder most of the residents?” To read the rest of their compelling argument, CLICK HERE. While Israel isn’t prepared to allow refugees from the fighting in Syria to enter the country, it is doing a lot to help them, leading to appreciation from residents who previously despised the Jewish state. Here’s a video of Israel providing aid to Syrians fleeing the fighting. An Iranian general says his country’s forces in Syria are just awaiting orders to destroy Israel. Jonathan Spyer explains that, although the current campaign will likely mark the end of the control of Syrian land by non-regime Syrian forces, it is far from the reunification of the country under the Assad regime, or the end of conflict in Syria. An Israeli military official explains that, due to Israel’s actions there, Iran is far from where it wants to be in Syria. An argument that, despite what Putin may be telling Netanyahu, Russia is actually largely cooperating with Iran against Israel in Syria. A lengthy but interesting backgrounder on Iran’s Shi’ite proxy militia forces in Syria. A description of the demands and threats being issued by Iran as it tries to circumvent the economic damage from the new US sanctions. It appears that the Iranian regime was behind a bomb plot against the rally of an Iranian opposition group in Paris. Jonathan Schanzer urges US negotiators with North Korea to heed the lessons from the failures of Obama’s negotiations with Iran. Ireland’s parliament has voted for an economic boycott of what it regards as Israeli settlements, including east Jerusalem, but this may rebound against Ireland’s own economy. The UK is to lead a review of incitement in Palestinian schoolbooks. An interesting analysis of relations between Israel and France. Colin Rubenstein in the Australian argues it’s time to rein in the Iranian regime. Naomi Levin looks at the desperate and undiplomatic Palestinian response to Australia’s decision to ensure our aid isn’t used to encourage terrorism. Gabrielle Burack asks whether international pressure will end “pay for slay”. AIJAC staff expose the anger inside Iran at the regime’s misuse of its funds. Gabrielle Burack hopes UN condemnation of human shields might be a forerunner to a more reasonable international body. A brief interview with Israeli opposition leader Isaac Herzog on prospects for peace, Iran and recognition of a Palestinian state. Because of the inherent explosiveness and instability of the region, Israel takes a calculated risk every time it pursues its “active defense” campaign in the northern arena. But the risk of not acting, and allowing the Iranian axis to build up its force freely, is far greater. Odd as it may sound, Netanyahu gives Putin a degree of legitimacy that the Russian leader lost to a large degree in the west. MOSCOW – Many and varied are the reasons Prime Minister Benjamin Netanyahu has an interest in meeting with Russian President Vladimir Putin as often as he does – and Netanyahu does meet the Russian leader a lot. The prime minister’s meeting with Putin on Wednesday evening in the Kremlin was the ninth time the two leaders have met since Russia became active militarily in Syria in September 2015. During this three-year time frame, Netanyahu has met with Putin more than with any other world leader, including US presidents Barack Obama and Donald Trump. Netanyahu has characterized these meetings as “very important for Israel’s national security,” and – following Russia’s entrance into Syria – the reason is self-evident. Russia is militarily camped out in Israel’s backyard, and it is important for the two countries to talk and coordinate so each understands the other’s interests, so that they do not clash. It is no small achievement that, indeed, there has not been any clash – accidental or otherwise – between Russian and Israeli forces in Syria over the last three years. This is not something that can be taken for granted, something that just happens. Rather, the understanding and cooperation necessary to avoid those clashes have been a direct result from the meetings between the leaders at the top. These nine meetings have ensured that Israel knows what Russia’s vital interests are in Syria, that Russia understands the vital concerns of Israel, and that both countries steer clear of harming what is of critical importance to the other. That’s why the meetings are important for Netanyahu, and these are among the reasons that they are important for Putin as well. But for Putin, there is more: he is using Netanyahu’s visits to send a message to various audiences. This is also why – of late – Netanyahu’s visits to Russia have been very high-profile. Inviting Netanyahu to Moscow when the eyes of the world are on the capital because of the World Cup is a high-profile visit. Inviting him to Moscow in May to sit with him and review the parade in Red Square marking the 1945 victory over Nazi Germany is a very high-profile visit. This is not Netanyahu secretly arriving in Amman for a meeting with Jordanian King Abdullah II, far from the cameras. This is the prime minister and Putin meeting in the full glare of the cameras for the whole world – and all the Russian people – to see, and doing so time and time again. What message is Putin trying to send with these meetings? First and perhaps least important in the Russian president’s mind – though not insignificant – is the message to his own people. After four years of being sanctioned and basically blackballed diplomatically by the West for his invasion and annexation of Crimea, Putin’s meetings with Netanyahu show the Russian people that Moscow is still a very significant player which can’t be ignored. Sure, Russia might have been drummed out of the G8, which has reverted to being the G7, but its counsel and favors are sought after by leading international figures. As odd as it may sound, Netanyahu gives Putin a degree of legitimacy that the Russian leader lost to a large degree in the West with his Crimean adventure. Then there is the message these visits send to the Americans. Syria and the Middle East will obviously be a major topic of conversation at Putin’s summit with Trump next week in Helsinki. Meeting with Netanyahu just days before, and prior to the unveiling by the administration of its long-awaited blueprint for Mideast peace, is Putin’s way of reminding Washington that he and Netanyahu are on close terms, that regional issues are being discussed between them, and that Moscow cannot be left out of any broader regional plan that the Americans might unveil. Finally, and perhaps most importantly, is the message that Putin standing alongside Netanyahu sends to the Iranians. Russian and Iranian interests in Syria are far from identical, and Moscow has let the Iranians know on more than one occasion that it would like them to leave Syria. The meeting with Netanyahu, the closeness between the two, is a subtle hint to the Iranians that if they do not accede to Russia’s demands – something that is by no means a given – Russia may give Israel a freer hand to operate in Syria than it has been given up until now. The meetings between Putin and Netanyahu have become part of the message, but so, too, are the events that come directly before or after the meetings. Within hours of Netanyahu’s return from Israel last May, Israel struck hard at Iranian positions in Syria, after Iran fired missiles at the Golan, in a retaliatory action for a previous raid attributed to Jerusalem. That timing was obviously not coincidental, and it beggars belief to think such an action was not discussed in the Kremlin just hours before it took place. So, too, this week’s attacks at the T4 air base, also attributed to Israel, should not be divorced from Wednesday’s meeting. The timing of these alleged actions sends an unmistakable message to the Iranians: Russia is not standing in the way of the Israeli actions. [Syria] is a dark regime led by a psychopath supported by the most malevolent forces on earth today. Lt. Gen (Res.) 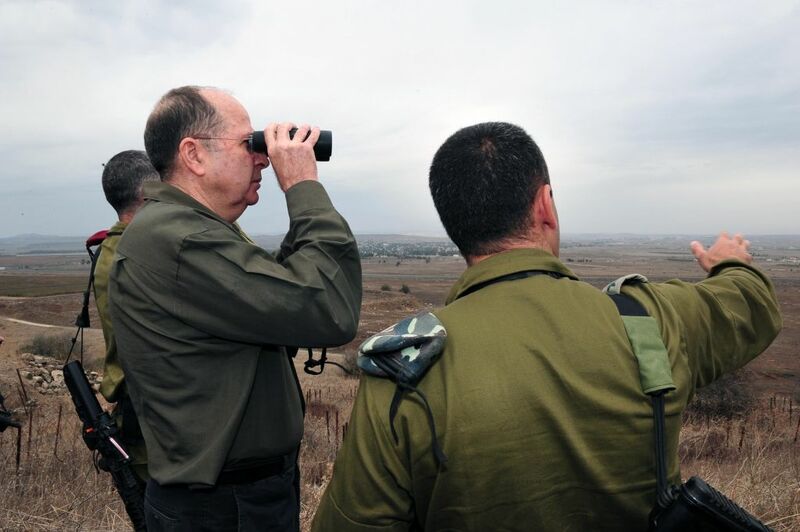 Moshe “Bogie” Ya’alon served as IDF Chief of the General Staff until 2005 and Minister of Defense until 2016. MK Yair Lapid is the Chairperson of Yesh Atid, a former member Israel’s Security Cabinet and currently serves on the Knesset Committee on Intelligence and the Secret Services.